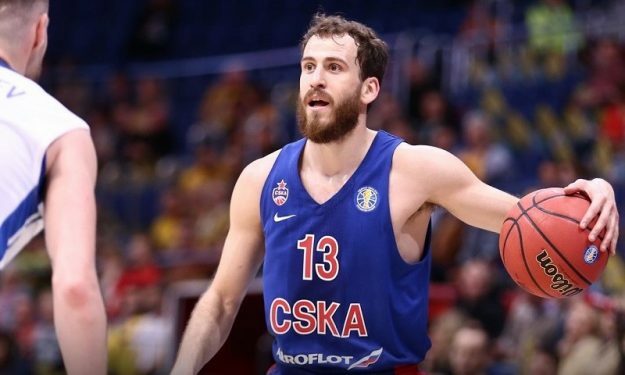 Sergio Rodriguez had an incredible first half as he led CSKA Moscow past Zenit in the VTB semifinal with an easy win. In the first semifinal of the VTB League Final Four, CSKA Moscow easily defeated Zenit St. Petersburg 84-67 and booked the ticket for the upcoming final. The first quarter was defensive, as both teams could not make shots (6/16 – 3/16) and so the score was 14-10. In the second period, however, CSKA Moscow picked it up, went on an impressive 12-0 run and were up ahead by double-digits (26-10). Rodriguez scored 21 points and so CSKA had a comfortable first-half lead. In the second half, the ‘Army Team’ did not look back, never lost this double-digit lead, and instead even increased it to 20+ points (55-35). The game was eventually over from the third period. In 18 minutes of playing time, Sergio Rodriguez had an unstoppable first half for Dimitris Itoudis’ team. He scored 21 points (4/5 3FG) in 18 minutes and was not needed in the second half at all. He also added five assists. William Clyburn put up 15 points for the winners. For St. Petersburg’s team, former NBAer Sergey Karasev finished the season on a high note. He scored 15 points and grabbed four rebounds. Demonte Harper added 16.